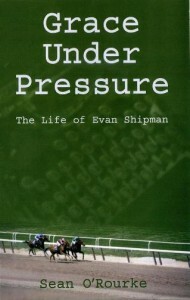 Grace Under Pressure: The Life of Evan Shipman. By Sean O’Rourke. Harwood Publishing and Unlimited Publishing, 2011. “I owe Spain a great deal,” Evan Shipman wrote to his good friend Ernest Hemingway on his return from Spain in June 1938. Shipman’s road to war followed a unique path that was influenced by the novelist. He traveled to Europe in February 1937 when Hemingway donated ambulances to the Republican government and asked Shipman to deliver them. Shipman turned over the ambulances to the American Medical Bureau in France and attempted to travel on to Spain. Shipman, whose passport was stamped “Not Valid For Travel to Spain,” was arrested by the French border patrol and jailed for his attempt to enter Spain with volunteers for the International Brigades. During his eight-week incarceration, Shipman formed a close bond with other volunteers. When he was released from jail, Shipman completed his journey and enrolled in the International Brigades. After recovering from wounds sustained in action at Brunete, while serving with the Washington Battalion, Shipman remained at Murcia as hospital commissar. In January 1938, he transferred to Madrid, where he worked for the Ministry of Propaganda on Voice of Madrid. In the late spring of that year, Shipman returned to the Brigades. He moved to Barcelona, where he served briefly as the editor of Volunteer for Liberty before his repatriation. After his return to the United States, Shipman joined the Veterans of the Lincoln Brigade and maintained a cordial relationship with them throughout his life, despite being essentially apolitical. 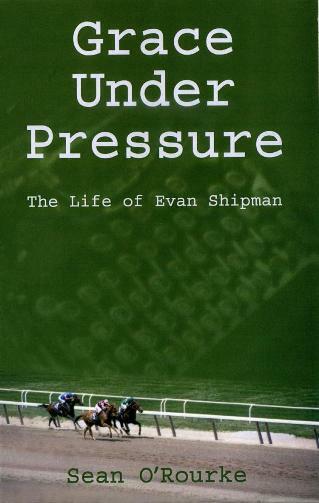 Evan Shipman might be forgotten were it not for his friendship with Ernest Hemingway. As Sean O’Rourke notes, most of what is written about Shipman in “literary histories and books about his better known friends is often incomplete, inaccurate, or just plain wrong.” O’Rourke’s well researched biography provides an engrossing narrative history of Shipman and his milieu that draws a more accurate picture of a complex character. Shipman aspired to be a poet and author and published numerous poems and a novel; however, his indifference to financial matters, poor health, and a difficult marriage led him to make a living as a journalist. His intimate knowledge and love of horse racing, both in Europe and the U.S., led him to be memorialized as the “dean of American turf journalists” upon his death in 1957. O’Rourke’s considerable research is evident. Over the course of five years, he delved into the archives of ALBA, Harvard, Yale, Princeton, and the Sorbonne. In each chapter O’Rourke frames Shipman’s life through the people with whom he interacted. A website with additional photographs, corrections, and amplifications can be found at EvanShipman.com. Chris Brooks maintains ALBA’s biographical dictionary of the U.S. volunteers in the Spanish Civil War.